The Winnipeg Jets look to even their first round Stanley Cup Playoffs series tonight against the St. Louis Blues in Game 2 at Bell MTS Place…The Jets lost Game 1 of the series 2-1 on Wednesday, marking the first time in four playoff series that the Jets have lost the first game…After tonight, the series shifts to Enterprise Center in St. Louis for Game 3 on Sunday and Game 4 on Tuesday. 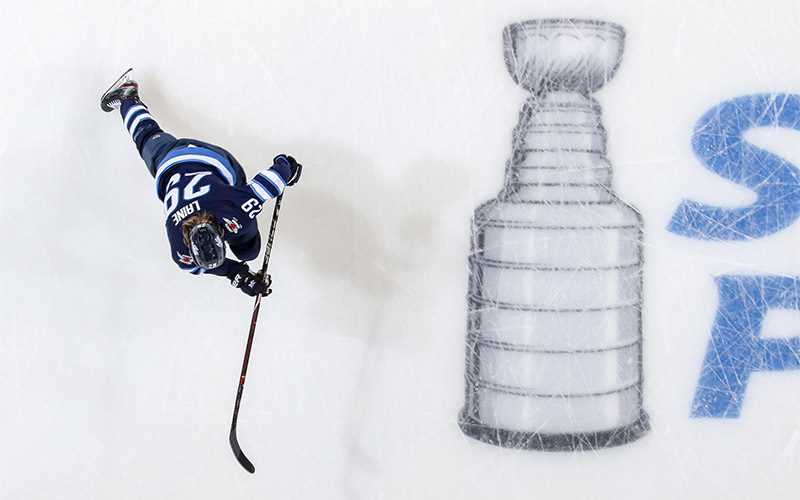 The Jets led after the second period in Game 1, but fell to 9-4 all-time in the playoffs when leading after 40 minutes…The Jets were 9-0 last season in the playoffs when holding a lead after the second period and 42-1-1 in the regular season…The Jets were 26-5-4 during the regular season this season when leading after the second period, which was tied with the Florida Panthers for the most losses in the NHL. The Jets franchise is 1-4 all-time in Game 2s…The Jets beat the Minnesota Wild in Game 2 of their first round series last season, but dropped Game 2 against the Nashville Predators and Vegas Golden Knights. The Jets have been limited to one goal in each of their past three playoff home games dating back to last season…The last time the Jets scored multiple goals in a playoff game at home was Game 1 of the Western Conference Final last season when they beat the Vegas Golden Knights 4-2…The Jets averaged 2.9 goals per game in home games during last season’s playoffs and 3.29 goals during the regular season this season. Tens of thousands of white-clad Jets fans are expected to cheer on the Jets inside Bell MTS Place and outside the adjacent street party tomorrow…The Jets had one of the best home records in the NHL during the regular season at 25-12-4…Last season in the playoffs, the Jets went 5-3 on home ice, including winning their first four home games. Jets head coach Paul Maurice is coaching in the postseason for the seventh time in his career…Maurice is 34-41 behind the bench in playoff games, with the highlight of his postseason success coming in 2002 when he coached the Carolina Hurricanes to the Stanley Cup final…The nine playoff wins the Jets posted last season is the second most Maurice has had in a playoff run, next to the 2002 season. Goaltender Connor Hellebuyck has allowed three goals or less in 10 consecutive playoff starts dating back to last season…Despite a 3-7-0 record, Hellebuyck has a 2.34 goals-against average and .923 save percentage in those 10 games, during which the Jets have been outscored 23-25.